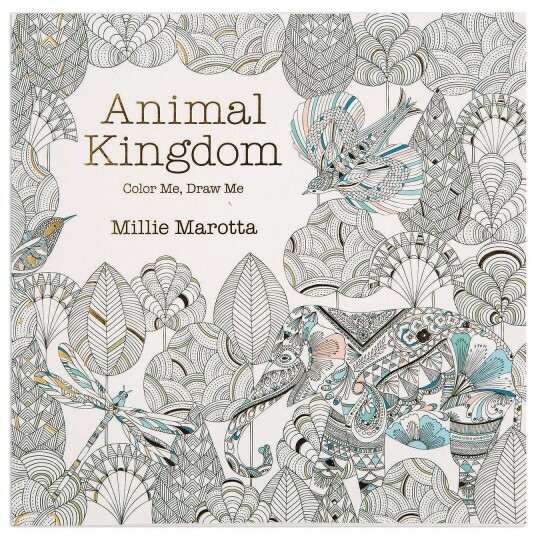 Millie Marotta’s adult coloring books are always filled with intricate patterning and detail. Adults and older children can add their personal touch to each stunning drawing. Enter her captivating animal kingdom; featuring everything from beautiful birds to fantastic fish, delicate dragonflies to elaborately decorated elephants. Give a rooster plumage, adorn a tortoise’s shell, create a backdrop for a ram, and more inspiring creative fun. The high-quality paper makes it perfect for colored pencils. Fine line markers can also be used. Soft Cover. 96 coloring pages (48 pages printed on both sides) Book measures 9-7/8” sq.